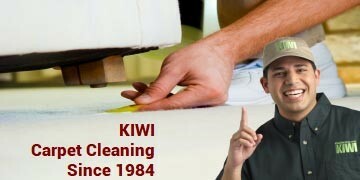 KIWI is Katy’s most affordable carpet cleaning service. When hiring a carpet cleaning company in Katy, you can always trust KIWI. Unlike steam cleaning, KIWI is able to bring life back to your carpets without oversaturating them in water. We have been offering carpet and rug cleaning services in Katy since 1987. For the most professional carpet cleaning care in Katy, Texas call KIWI Services. Fortunately, KIWI’s carpet cleaning services of Katy, Texas makes professional carpet care affordable with our one-year carpet cleaning warranty. We don’t just clean the carpet once; we keep it clean all year. Once you call, there’s nothing more you have to do. Our professional technicians will come out, move the furniture, vacuum the carpet, target-clean spots and stains, clean the carpet using our green carpet cleaning solution, and finish the process with raking the carpet. We use a high quality all-natural green solution and before you know it, your carpet will be looking like new and dry in no time. That’s not all. We’ll help you keep your carpet looking new all year. After your initial service with KIWI, you can call us anytime for the next year, and we’ll maintain all areas of your carpet for only $4 per room. No other Katy carpet cleaning company takes care of their customers like we do. Along with offering the best in carpet cleaning with our best in the industry carpet cleaners and cleaning methods, KIWI also offers cleanings for air ducts, area rugs, tile and grout with a specialization in grout cleaning, and we can do combination carpet and upholstery cleaning. We also offer commercial cleanings along with our residential cleanings. KIWI also offers the best in customer service. Our representatives are ready to answer any question or concern you may have when you call, and KIWI also offers a 30-day clean guarantee on all of our services. If you should run into any issues with your cleaning, give us a call and we will be back out as soon as possible to do a complimentary re-cleaning. We offer free estimates for our services as well.